Abbott and Costello, Laurel and Hardy, Jack Lemmon and Walter Matthau….Max Chawtko and Alex Travin? It was another rainy day in Chappaqua, NY, and Max Chawtko and Alex Travin were bored. Stuck in their classroom for indoor recess, the two eight-year-old besties were desperate for something to do. Then inspiration struck. Max’s five-year-old sister had recently been diagnosed with brain cancer and they had a brilliant idea: tell jokes as a way to raise money to support pediatric brain cancer research. 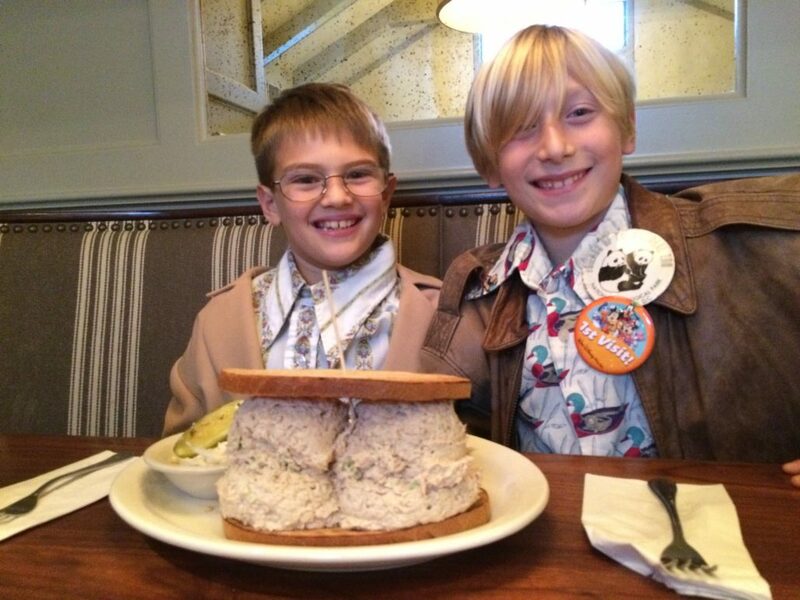 Of course, since they’re eight-year olds, Max and Alex have a more roundabout way of telling the story. Alex: I came over to Max and asked if he wanted to tell jokes with me and people will pay. Max: No, that’s not what happened. Me and Alex were playing and decided to do something with jokes together. So we decided to make up something called Jokes for Scarlett. We wanted people to bring in five cents and then we would tell them a joke. Alex: On the first day we offered free jokes. We didn’t tell that many jokes, and they weren’t that good. We were just getting started. Max: We made a sign in the back of the classroom and wrote “Jokes for Scarlett on it. Alex: A few people came back to listen. Max: The next day, was indoor recess again and one kid brought in $20. Alex: No, it was more like $5. Max: No, don’t you know how to count your money? It was $20. And five other kids brought in money. Alex: No, it was three other kids. Max: No five. I know, how about we round it out and we say four kids? Alex: We didn’t know people would come back with money. We gave Ethan a lot of jokes because he brought in more than five cents. Max: No, he brought in a bunch of dollars. You should say more than five dollars. But he didn’t empty his piggy bank. He says he has lots of money. Q: What do you call a mean cow? The boys, known by their friends and family for their impeccable comedic timing and entertaining banter, realized they were on to something. As word spread and kids began to empty their piggy banks in order to hear a joke and support the cause, they boys began to dream big. They wanted to reach a larger audience than the kids at Roaring Brook Elementary School in Chappaqua, NY. So, unbeknownst to their parents, they began telling their classmates that they would set up a table at their local farmer’s market. No stranger to fundraising–with the help of their parents, the boys had previously helped create a 40-person team that raised $30,000 for Swim Across America that previous summer–they quickly spread the word. 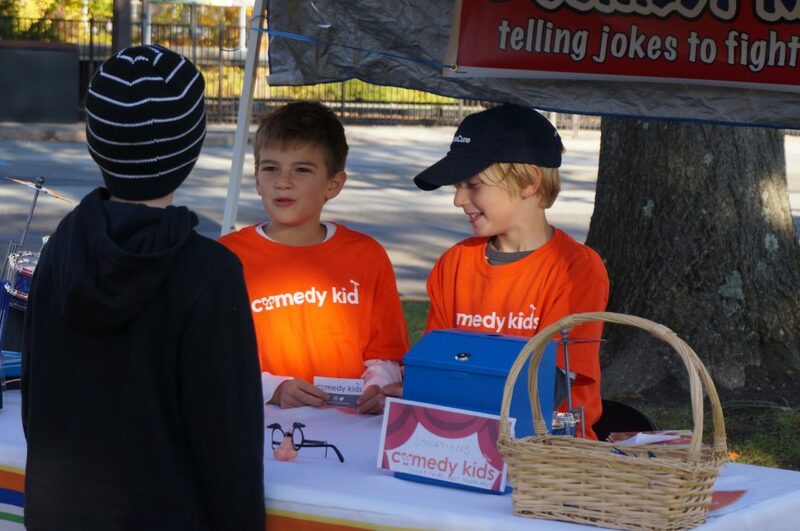 Alex and Max manning the first Comedy Kids event at their local farmer’s market. Max: Our moms asked us to explain our idea to them. Then they asked us to come up with the name. It took us two business meetings to come up with that. Alex: We went to Starbucks for our first business meeting. Our moms helped us with names. One idea was the Westchester Jesters, and another one was Two Stooges. Max: But we liked Comedy Kids. At our meetings, we talk about our business. The boys’ moms got to work and began taking the necessary steps to reserve a spot at their local farmer’s market, a popular place where their small town gathers on Saturday mornings to buy fresh, local produce and goods while catching up with friends. As the moms worked behind the scenes, Max and Alex began planning and got the word out. They purchased a website, www.comedykids.org, and the boys began to advertise around town. They put up posters, told their friends, called the local paper and even appeared on their school’s morning announcements. Every morning, they told a joke and reminded the students and staff to visit them at the farmer’s market to help them raise money to support pediatric brain cancer research. Q: What did the fish say when he swam into the wall? Max and Alex knew they could pull this off. They’re such close friends they finish each other’s sentences. They also bicker like an old married couple: their humorous dialogue entertains everyone within earshot. Alex: No, no, actually more. Max: I think four years. We met in kindergarten. Alex: No we didn’t. We met at a library sleepover before kindergarten began. It was two weeks before kindergarten. Max: Yeah, but we weren’t best friends then. We did play with each other. Alex: But we didn’t sleep over. It was bring something that you want to have sleep over at the library. Max: Oh yeah, and I brought Howie, a huge giant bear, remember him? It was as big as me at that time. Max: It’s more than five feet tall, and I’m about four. Max: Yes, I am. How tall do you think I am? Alex and Max on stage at Saturday Night Live. On November 5, 2016, they set up a table at the Farmer’s Market. They placed a box filled with jokes on top– some they created on their own and some they got from books or the Internet. Each person who approached the table was asked to make a donation in exchange for selecting a joke. The average donation was $20. Comedy Kids had several hundred visitors that day. They also received donations via their website from friends and family around the country. Each time a donation is received online, the boys send a joke by video as a thank you. By the end of six weeks, they had raised over $20,000 – all of which was donated to pediatric brain cancer research. The Farmer’s Market was their warm up act. Two days later, they decided to take their show on the road, via other children throughout the country. The boys hope to inspire others to use comedy to raise money for whatever cause they support. Max and Alex have developed a kit, free to any child, which includes joke cards, two t-shirts and two pairs of Groucho Marx glasses, that timeless comedic prop. Comedy Kids also provides tips on how to create a successful event, including location suggestions, how to spread the word and even how to contact the local news. They’ve already received orders from New Jersey, Texas and Hawaii. Comedy Kids recently launched a podcast. The boys’ first interview was their friend Ryan; he taught them how to armpit fart. They have conducted several more, all no longer than seven minutes, and are currently in the editing phase. Max and Alex are also on social media, posting jokes, using hashtags and creating videos. They have a Facebook account, they tweet and they’re even on Instagram. Max: We’re not comedians. We’re not like Billy Eichner or Ben Aarons. Alex: Well, I consider myself a comedian; he doesn’t. I like the title. Max: Actually, I am a comedian, I’m like Billy Eichner. Like Billy on the Street! He’s my favorite comedian. Alex: The part he likes the most about Billy Eichner is the curse words! Max: No, that’s not what I like the most! He asks questions to random people and makes weird faces to the camera. He’s like (makes a face)…. Alex: That makes you look meshuganah. In May, the Comedy Kids were treated to the surprise of their lives: they were honored by the New York Yankees as part of HOPE (Helping Others Persevere and Excel) Week. That morning, the boys, their moms and sisters were brought to Manhattan where their first stop was Saturday Night Live. While standing on the stage, one by one five Yankees players walked out, greeted the boys and handed them a $10,000 check: $2,500 was donated to A Kid’s Brain Tumor Cure and the remaining $7,500 was given to their new campaign with the Dana Farber Cancer Institute. After reading cue cards and telling jokes to the Yankees, the Yankees had their turn to entertain Max, Alex and their families before everyone sat down for lunch. 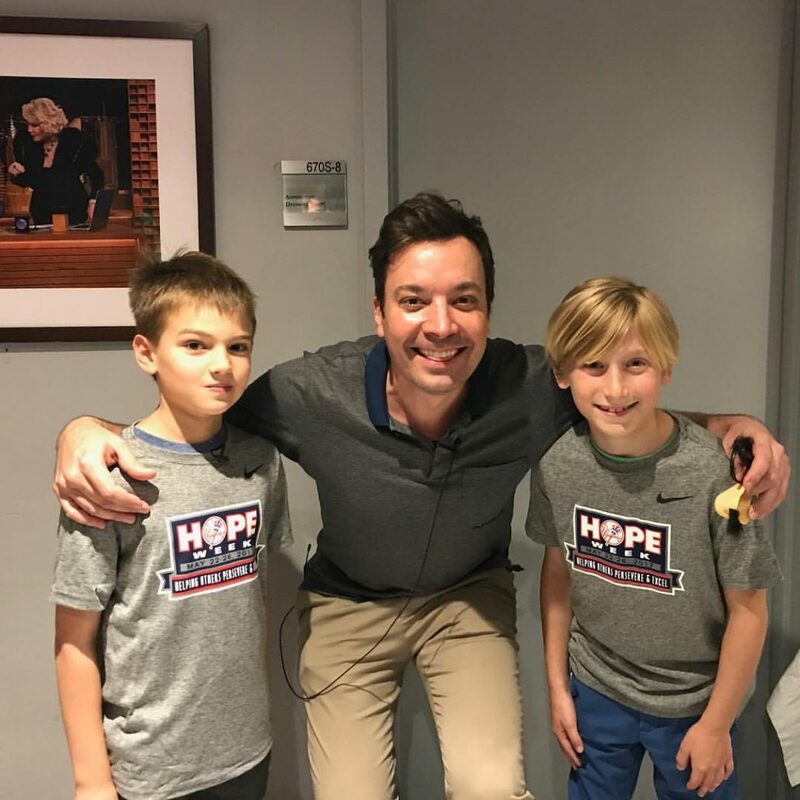 After lunch, the boys headed to The Tonight Show where they met Jimmy Fallon, joined him in the “Tight Pants Dance” – one of their favorites, sat in his chair, gave him bunny ears, ate The Tonight Dough ice cream with him and told jokes on his stage. The highlight? Jimmy Fallon’s tweet: “Those kids were funnnnyyyy!! !” with a picture of Jimmy, the kids and the Yankees. Meeting Jimmy Fallon. “Those kids were funnnnyyyy!!! Q: How do you tell a snowman from a snowwoman? Once they arrived at the Yankees game – the only part they knew about in advance, Max and Alex were on the field for batting practice, met Yankee’s Manager Joe Giradi who wore their shirt throughout his pre-game interview, sat in the dugout, threw out the first pitch, received signed baseballs, ate in Legends restaurant and were presented with awards on the field. They Yankees beat the Kansas City Royals that day, and their day ended with high-fiving the team. It all goes to show. It’s never too early to dream big, or try to heal the world with humor… one joke (and pair of Groucho glasses) at a time. The Beatles 1968’s double-disc record The Beatles (otherwise known affectionately as “The White Album”) has always been one of my all time favorites. But it wasn’t until I got brain cancer that I truly learned to appreciate it, and to understand some of its deeper truths. 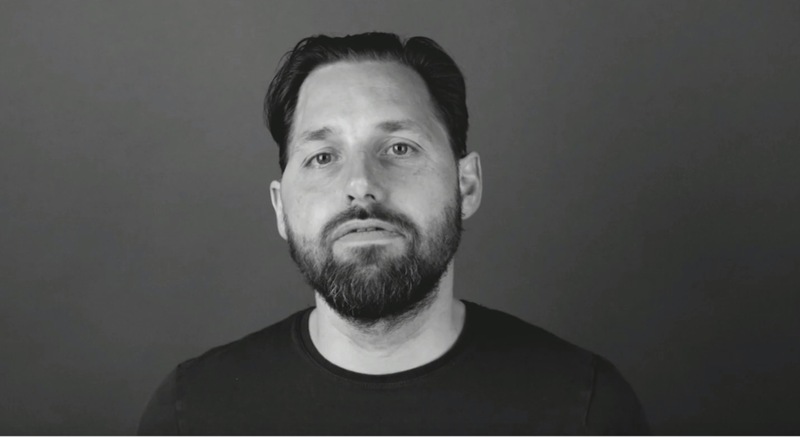 For six weeks, I was locked down into a proton therapy machine for 45 minutes at a time, as millions of invisible particles bombarded my brain, trying to burn out the malignant tumor that was growing inside. It may be slightly hyperbolic coming from a music geek like me, but if not for The White Album, I might never have survived that time. 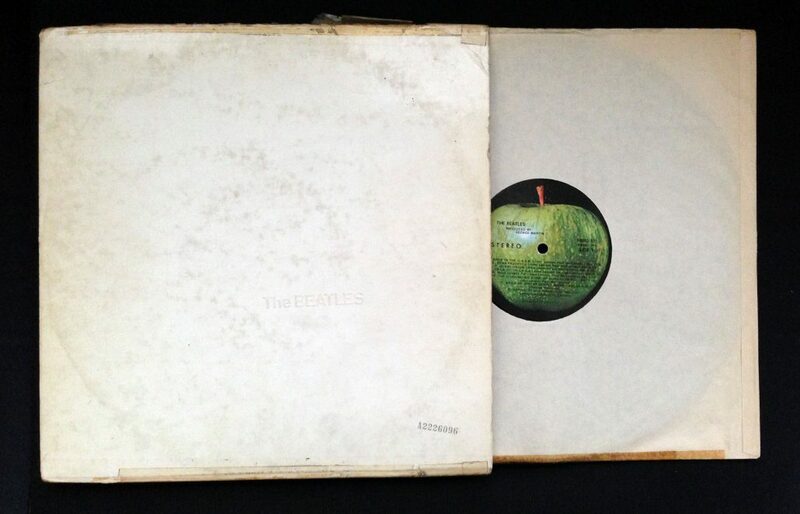 An original vinyl copy of The White Album. “Will this be anything like the MRI machine?” I asked. I’d already had a dozen or more MRIs validating the shape and size of my tumor, so I already knew what the experience was like: the claustrophobic feeling of being trapped in that tiny tube, enveloped by blood-curdling blasts of big robotic rumbling. 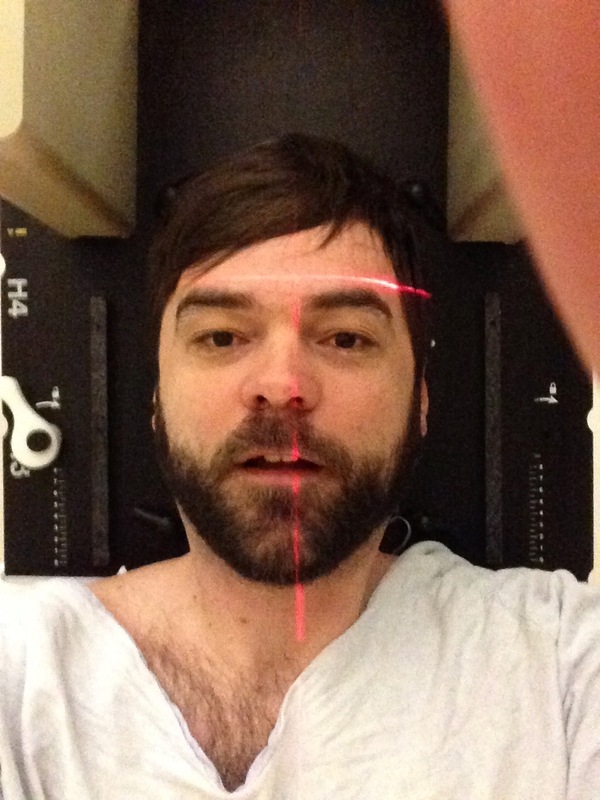 As a professional music critic, I found it especially discordant: an MRI test is the antithesis of music. Luckily they give you earplugs. But, luckily, that wasn’t true. Bird’s eye view of getting your brain tumor blasted by protons. When I disrobed and entered the proton room for the first time, the ambience was forbidding. It was a large space with a high ceiling, and the room was chilly as I lay down on the table. They fitted me with a custom-built hard plastic mask; it fit nugly to my face, assuring that the proton beam could direct its blast to the precise spot of my tumor. Once I lay down, the mask was clipped to the table, locking me–and my head–in place. “Do you like music? We have a few CDs over here if you’d like to listen to something while we go through our business setting up,” the nurse asked me. I get asked about music a lot, but I’m always hesitant to make suggestions. 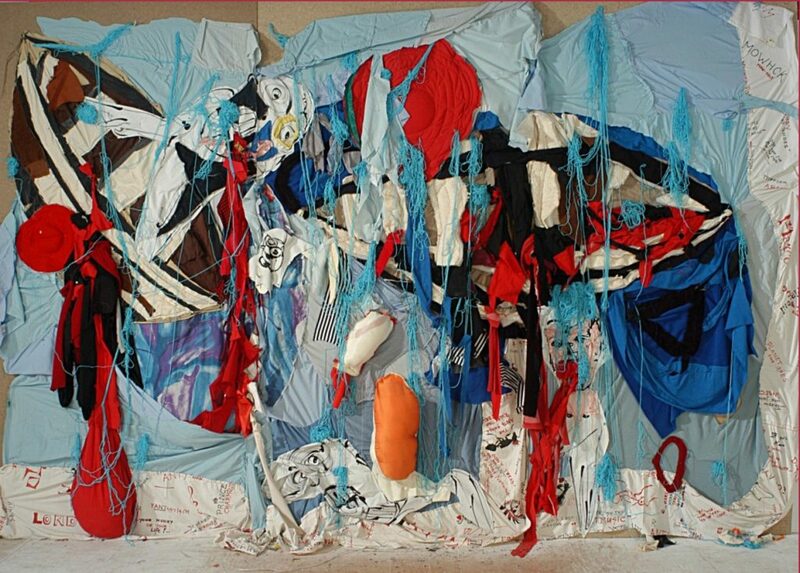 I feel like my brain is so full of music that I can barely pick out one or two songs without worrying that the whole piñata will explode. A blessing from the universe. Everything about The White Album has fascinated me, ever since I first heard it. It represents an epochal moment in music history. The year is 1968. The Beatles were splintering. 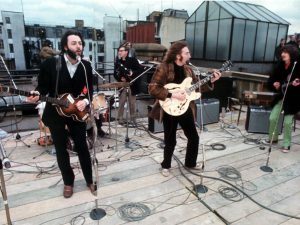 After a couple months spent hanging out in Rishikesh, India with Maharishi Mahesh Yogi and smoking plenty of grass, The Beatles had written some of the best pop songs ever. But a different kind of cancer than my own had found root in the band. Experts differ on what it was: was it John and Yoko’s relationship? Was it Paul’s perfectionism? Was it Ringo’s feeling disrespected, or George’s deep dive into Hinduism? Whatever it was, by the time they came together to complete one of their last original albums, they could barely be in the same room together. The record is entirely built piece by piece, like slowly healing scars. Each song demonstrated the strength of the writer, but revealed how distant these individual band members had become from the group. Once complete, the work became one of the last records they’d ever make together. The only thing that stopped me from dancing was the fact that I was locked to the table, getting my brain blasted with protons. Despite the tumult, it just worked. And that record kept me sane, seeming to reflect my own experience of being treated for cancer in a space oddly melodic in its own discord. Paul’s tongue-in-cheek rocker “Back in the USSR” starts with the sound of a jet plane taking off. It was an energetic launch pad for my radiation room, but I found the humor in it: it always gave me a smile. The only thing that stopped me from dancing was the fact that I was locked to the table, getting my brain blasted with protons. But that’s just the blast-off. Part of what defines The White Album is its melancholy edge. Although the tracks first seem saccharine sweet, each song has an undercurrent of pain, weeping, and need. The only truly silly song, “Ob-La-Di, Ob-La-Da”, may have been a cute track, but it caused tumult within the band. Everyone hated it but Paul. But that song is quickly balanced out by the powerhouse of “While My Guitar Gently Weeps,” where George’s breath itself sounds like it hurts. From there, we lead directly into “Happiness is a Warm Gun.” That’s what this album is to me: the happiness of a warm gun. Each and every song has a trigger: my nerves tingle, my body couldn’t move. 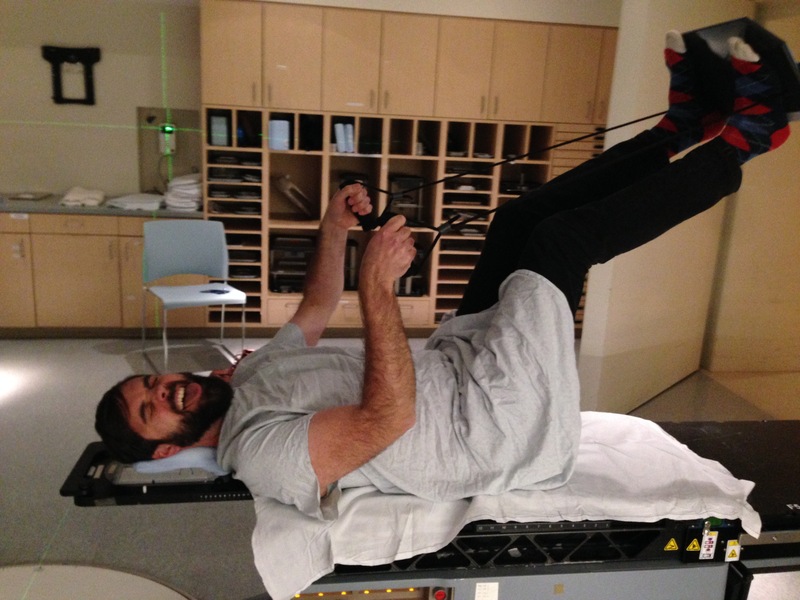 Rocking out on the therapy table. “Martha My Dear” sings: When you find yourself in the thick of it. Just like I’m in the thick of it now. I read “I’m So Tired” as a cancer song. I don’t know what to do. My mind is set on you? I’d give you everything I’ve got for a piece of mind. And forgiving the pun, do I hear that: I’d give anything for some piece of mind after all this. So even though I’ve heard the White Album a thousand times, and will probably hear it a thousand more, I never really heard it like I did then. 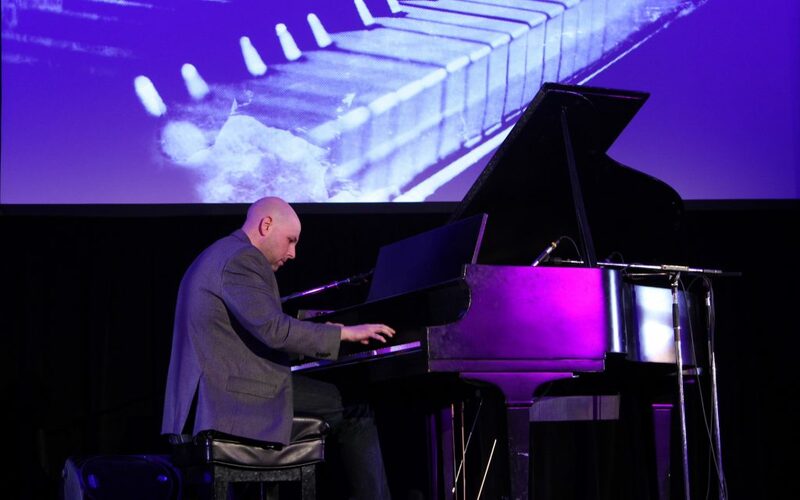 Every time I left the treatment room, I felt rejuvenated: the war on my cancer, the power of science and my own body, all melting away into the audiophonic bliss of an album that sometimes felt like it had been written just for what I was going through. Not going to lie. Some days I felt the willingness to allow despair to win. Some moments I didn’t want to go to treatment at all. I went day in and day out for weeks. It was a tough time where my heart was constantly racing, and I was battling doubt at every moment. But music puts hope around me… and, more specifically, the White Album does it for me, maybe more than any other. And if I had to explain why, I’d say it’s because it’s an album that prays for you. Music puts hope around me… and, more specifically, the White Album does it for me. It’s an album that prays for you. Now, my kids are asleep, and I’m listening to the record on my headphones, thinking about my treatment. The whole experience feels so distant, like it was all a dream or a strange piece of performance art. Perhaps when the White Album was put together, the band brought back bittersweet moments for them, too. The Beatles playing together for the last time. But the music of the White Album transcends The Beatles’ in-fighting, just like it transcends cancer and proton beams. It’s not about the regrets of the past, or the fears of the future. It’s just a moment, piercing into right now, whether that now is in your headphones or strapped to a table while protons get shot into your brain. Later, when they played their last performance standing on a London rooftop, the end happened but then the “you” was the listener, us! We took that music and translated it into something beyond words, beyond The Beatles, beyond proton beams, beyond cancer. It’s just a moment, piercing into the now. The way music is supposed to be. How Do You Talk To Your Kids When You Have Cancer? 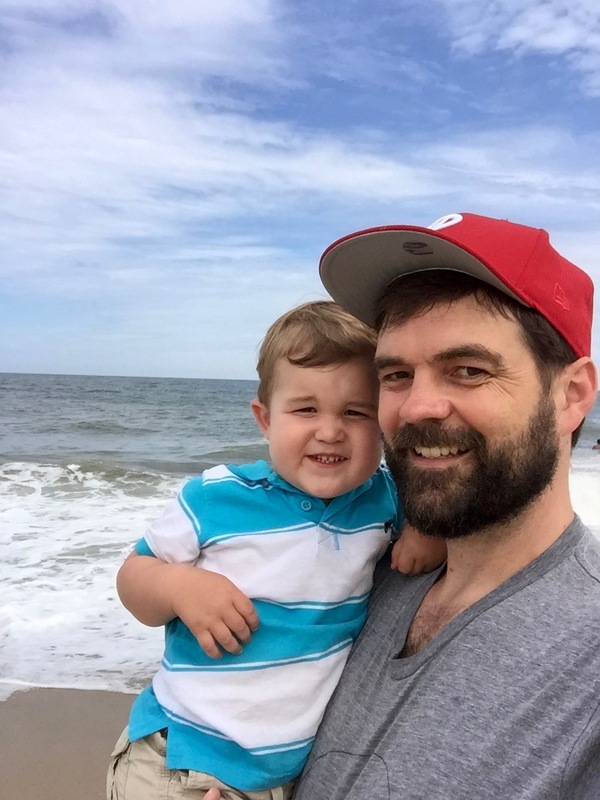 Weeks before my son was born, I had my first seizure. It exploded in epic grand mal fashion, turning the evening sky into the brightest rainbow I had ever seen. For a minute or two, the corner of Austin’s 3rd and Congress turned into a dance of brilliant color. When I opened my eyes, less than a second later, I was strapped to a gurney, covered with blood. The author and his son, Soren. This traumatic turn of events was what led to me being diagnosed with oligoastrocytoma, a type of terminal brain cancer. But before I could even think about what this meant for me, I needed to think about what it meant for my pregnant wife–then in her third trimester– and the child that was soon to come. I didn’t have long to think about it, though. Six weeks later, and only hours after my second brain surgery, my son Soren was born. The surgeons had only just finished closing the hole in my head with 140 staples, having just extracted the last visible traces of my tumor. Ever since that moment, almost four years ago, I’ve been two things: a cancer survivor, and a father. I’m technically living on borrowed time, but my wife, Erin, and I do our best to keep moving forward. After Soren, we added a brand new set of twins to our already cacophonous lives, and I joined the ranks of stay-at-home dad to give myself more time to heal. Each day brings new challenges — not as traumatic as chemo and radiation, but interesting in their own way, because beginning a family while dealing with cancer isn’t something most people have to go through. Beginning a family while dealing with cancer isn’t something most people have to go through. The moment my son was born, I was catapulted into the always moving, always changing world of fatherhood. Having a new child would have been difficult enough to manage in simpler “normal” circumstances, but adding the layer of this major health challenge caused the experience to go screaming past the sound barrier. Before I had it, cancer was always a strange, black magic sort of topic to me. Until it was in my life, it was as mysterious as the stars in the sky. 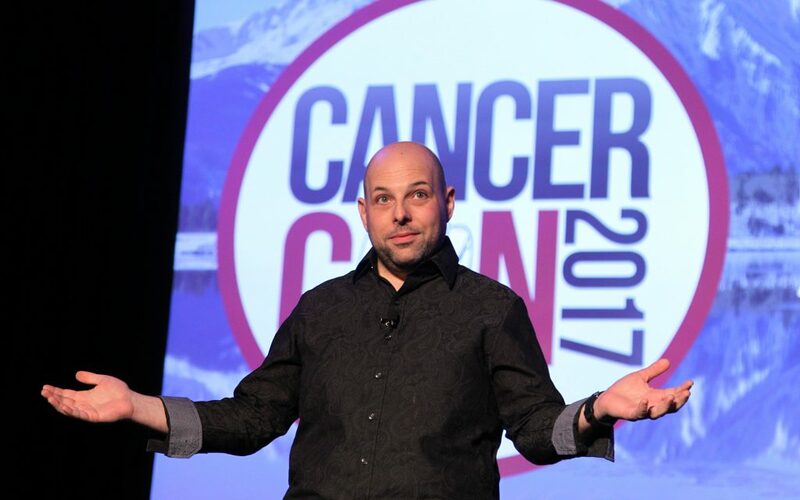 But every time I heard the pulsing of an MRI, smelled a radiation machine burn my skin, or felt the spark of an oncoming seizure, I had to learn a little more about how to speak about cancer–not just with adults, but to my children. 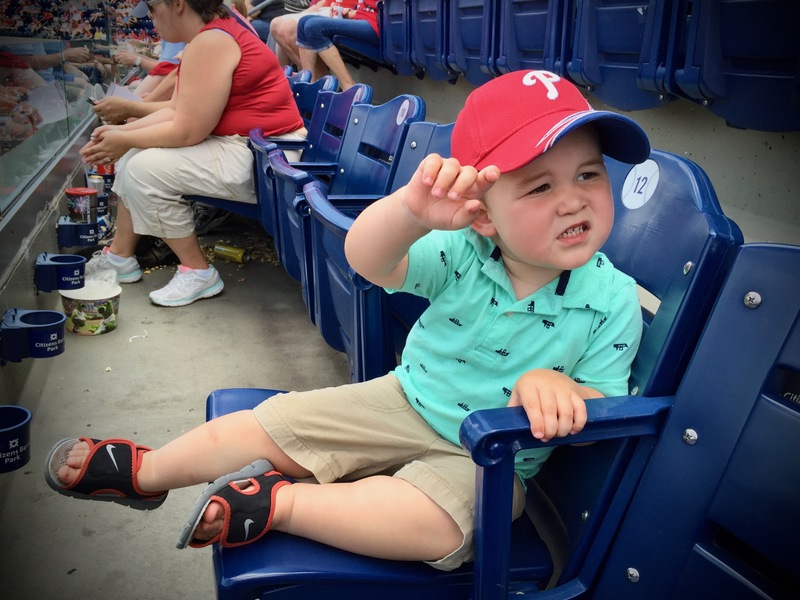 Soren at his first baseball game. Soren and the twins aren’t quite old enough yet to fully understand the significance of my illness. They will someday soon, though. The other day, my one-year-old, Mira, looked me in the eyes and said “Hi!” I was delighted to hear her first word, but in the back of my head, I asked myself: how long until she’s asking me about my sickness? At night, I think about what I will tell them when they start to ask about my cancer. Or maybe they never will, and it’ll always be just a normal part of their life. “My dad has brain cancer,” they’ll say to their schoolmates, as if-you-please as if I were a postman or fire fighter. There’s a darker possibility, too. Will they be saying “my dad had brain cancer, but he’s not here anymore?” These are the thoughts that keep me up at night. Will they be saying “my dad had brain cancer, but he’s not here anymore?” These are the thoughts that keep me up at night. Right now, I’m just trying to share my love for them as openly and honestly as possible. I also want to show them that their dad isn’t afraid, even though there are private moments when I am, and think desperately about how much I want to live through this. And more than ever, I do want to live through this. The mere fact that I’m still alive–let alone feeling healthy now–amazes me. Yet I hold on to the deepest knowledge that, short of a major new medical advance, I am going to die of my disease someday. And yes, I am afraid of that, not just for myself, but for what this terminal diagnosis means to me and my wife and children. 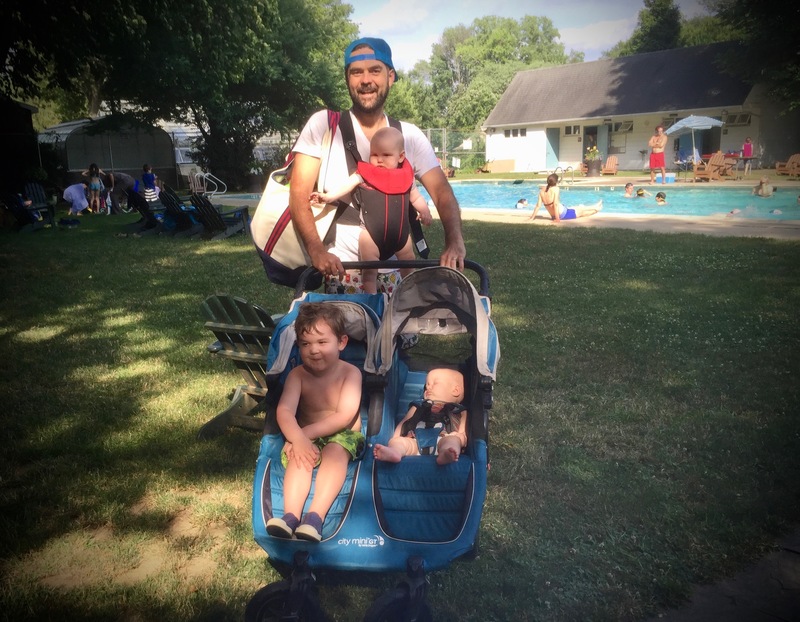 Mark, Soren, and the twins on a day out. I work hard on my fear, and try to keep my voice level so that my wife and kids can’t hear it. Yes, my wife and I are scared shitless at times. But I don’t want my kids to sense that fear. Instead, I want them to understand: to be able to talk to them about what is going on inside of my body without focusing on the fear. Whether I’m cured, or whether I eventually succumb, I want my kids to truly understand what their dad went through physically as well as emotionally. That’s why I write about cancer elsewhere, and why I’m writing this. There’s no easy way to talk to your kids about having terminal cancer. But while I’m still here, I’ll do it as best I can: with integrity, and without fear. Because even if I die, I want my kids to one day know that because of them, I won my battle with cancer. Their presence in this universe would have been impossible without me; to have survived long enough to help give them life has already made my life valuable. 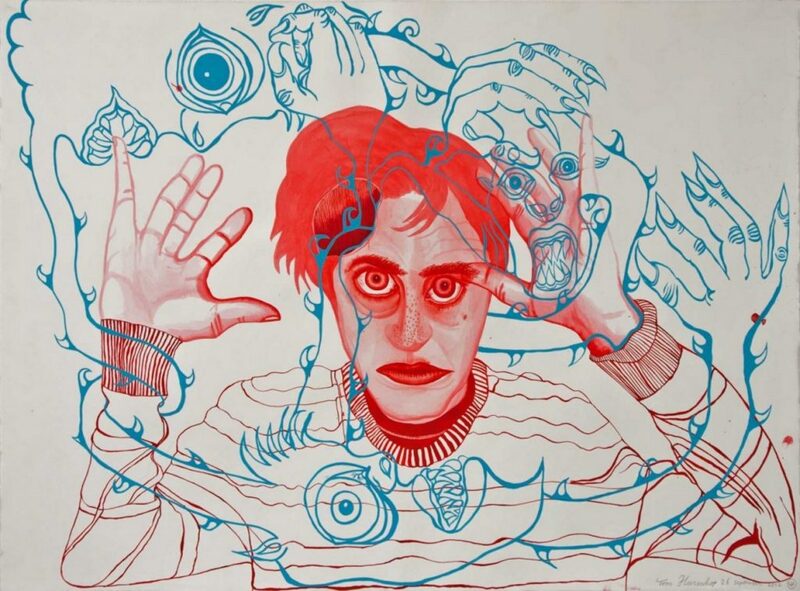 This strange experience of having a body, a somewhat mis-calibrated one, a mis-created one, was a part of their life story. And because of that, to understand themselves, they’ll need to understand cancer too. https://folks.pillpack.com/wp-content/uploads/2017/03/Schoneveld-1.jpg 960 1280 Mark Schoneveld https://folks.pillpack.com/wpinhere/wp-content/uploads/2017/03/folks-logo-1.png Mark Schoneveld2017-01-11 09:00:552017-04-04 16:46:42How Do You Talk To Your Kids When You Have Cancer? 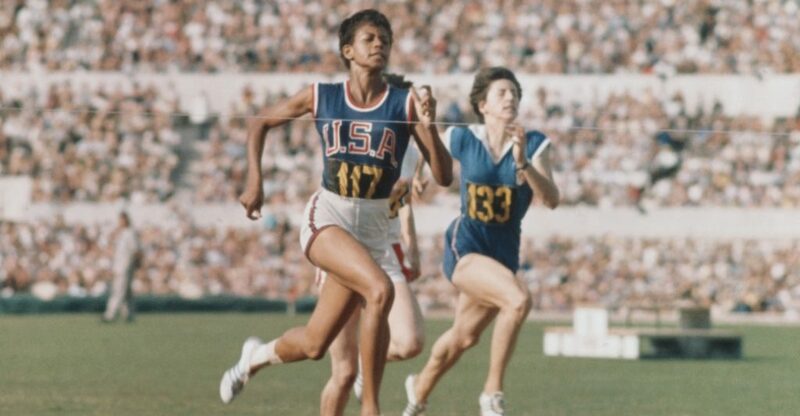 In her time, the world-record-setting sprinter Wilma Rudolph was often referred to as the “fastest woman in the world.” In the 1960 Olympics, she won three gold medals in track and field. Every race was extraordinary. Her 100-meter sprint at the Rome Olympics on September 2, 1960 lasted just 11 seconds, the fastest-ever recorded time for a women’s run. Rudolph wasn’t just fast. She beat records only after beating the odds. Wilma Rudolph, shortly after winning the gold. As a teenager, she trained as a sprinter despite a deformed left foot that kept her bedridden as a child, one of the lingering effects of polio that she contracted and ultimately beat at age 6. 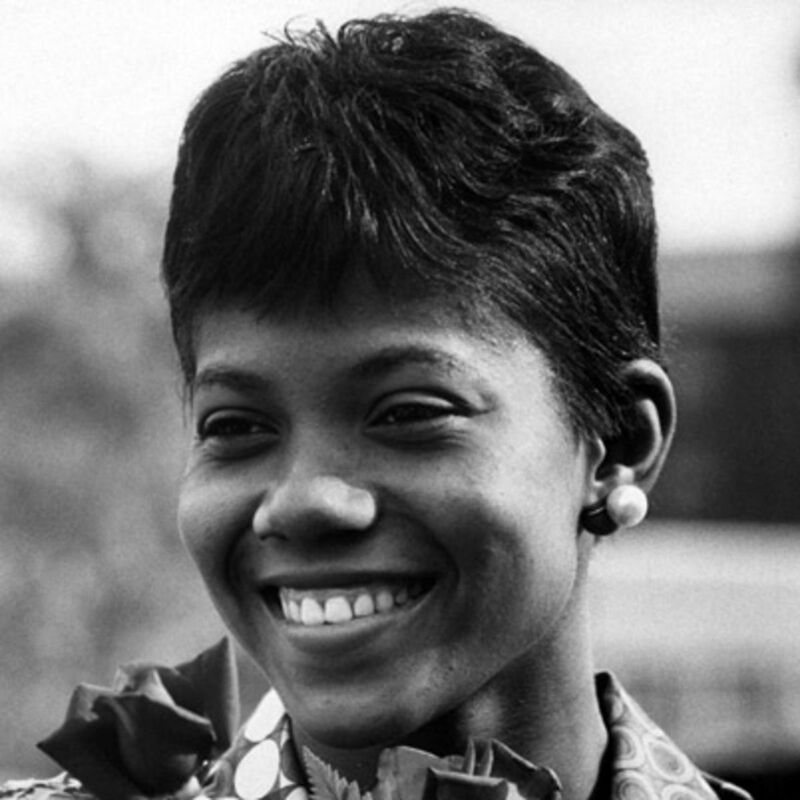 Born prematurely on June 23, 1940 just outside of Clarksville, Tennessee, Wilma Glodean Rudolph was the twentieth of her father Ed’s 22 children (the sixth of her mother Blanche’s eight). She contracted polio when she was just four years old and was forced to wear a metal leg brace to help correct the condition’s impact on her lower left limb. Rudolph told ESPN that she spent most of her bedridden childhood trying to break out of the brace but added, “When you come from a large, wonderful family, there’s always a way to achieve your goals.” It helped that her many siblings would take turns massaging her legs every day. By age 6, she could hop on one foot; by age 8, she was walking with the leg brace. 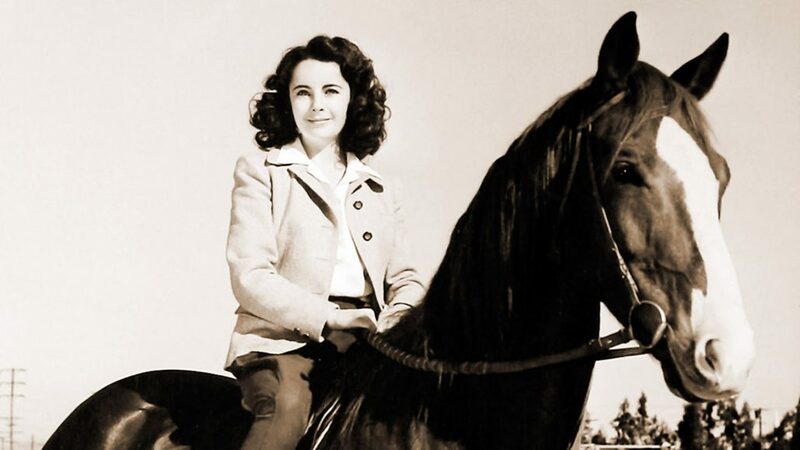 It wasn’t just polio that nearly sidelined her. Rudolph also suffered from and survived a number of other diseases of the day, including whooping cough, the measles, double pneumonia, and scarlet fever. The latter two nearly killed her. But by age 11, she was on her feet—literally. Rudolph spent her whole life running. She was an especially talented basketball player and tried several sports before famed track coach Ed Temple spotted her potential and recruited the burgeoning star to be his protégée. At the time, Temple was a volunteer coach while also working as a sociology professor at Tennessee State University in nearby Nashville. He went so far as to drive his team of so-called Tigerbelles to meets in his own car and personally paid to have the school’s unmarked dirt track lined. Rudolph first competed in the 1956 Melbourne, Australia Olympic Games, winning a bronze in the 400-meter relay race. Back at home, she secured a scholarship to attend Tennessee State where Coach Temple continued to train the young star, as well as several other young African American women Olympians. In 1959, she won gold in the 4×100-meter relay at the Pan American Games. Rudolph’s banner year was 1960, when she went to Rome and won Olympic gold multiple times—and also set a world record. But fate nearly tripped her up again when, the day before the 100-meter dash, she stepped in a hole near the practice track, twisting her ankle hard. She iced and compressed her foot and soldiered on, beating even reasonable expectations. She easily won the 100-meter heat, quarter-final and semi-final in what should have been a world-record 11-seconds flat. Were it not for a strong wind advantage, she would have taken the record plus the prize for her quick dash. In the 200-meter, she set a new Olympic record of 23.2 seconds in the heats and won the final with 24 seconds. For this, the title “fastest woman in the world” stuck. She then anchored the relay team again, helping her teammates to come from two yards behind to win the gold with a three-yard victory in a world-record 44.5 seconds. Her celebrity came at an awkward time in world history. Focusing both on her race and speed, the international press imposed a range of dated nicknames. The French media, for example, dubbed her La Perle Noire, or “the black pearl.” When she arrived home from the 1960 Rome Olympics, the ticker tape parade celebrating her victories was slated to be segregated. She claimed another victory when she flat-out refused to attend her own procession, forcing Clarksville city officials to change the policy and integrate its first-ever municipal event. Like many of her celebrated peers of the era, Rudolph also benefitted greatly from that year’s first-ever Olympic Games television broadcast. Boxing dominated much of the 1960 summer games, most notably Muhammad Ali’s gold medal knockout victory over Poland’s Zbigniew Pietrzykowski. But even track and field stars such as Rudolph had their games broadcast back home, albeit with a delay. At the time, there was no satellite connectivity between Italy and the United States. CBS producers flew the footage back to the States for a delayed telecast. 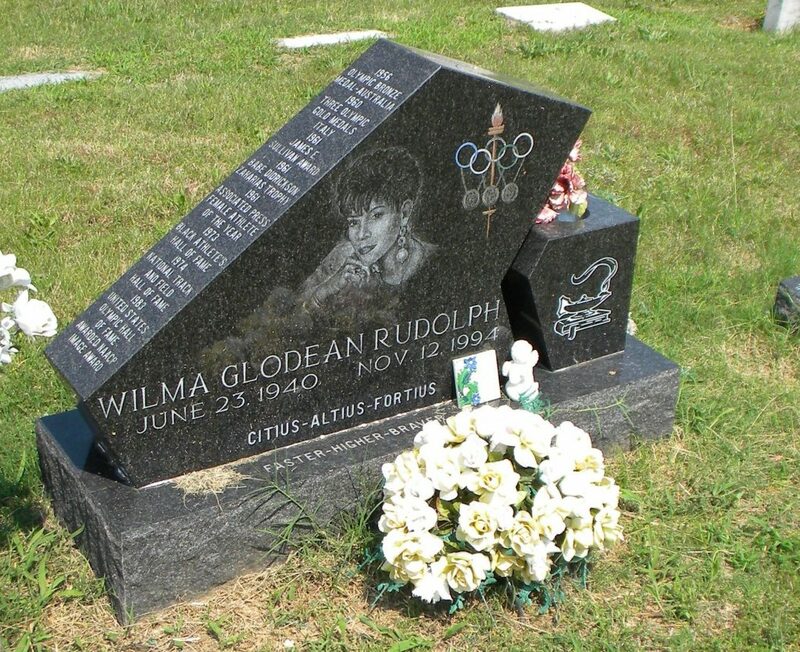 Wilma Rudolph’s grave remembers her as a champion. Even though she won the 1961 Sullivan Award for top amateur athlete in the U.S., male or female, Rudolph’s competitive career was ultimately about as short as her sprints. In 1962, she retired her running shoes. “I couldn’t top what I did, so I’ll be remembered for when I was at my best,” she explained, according to her obituary in the New York Times. There was also no money or professional path for a runner, and so she took a different route. She completed a degree in teaching and went on to do just that, as well as coach track and field at Indiana’s DePauw University and act as a U.S. goodwill ambassador to French West Africa. She also created a foundation in her own name, which supported community-based amateur athletics. “If I have anything to leave, the foundation is my legacy,” she said. 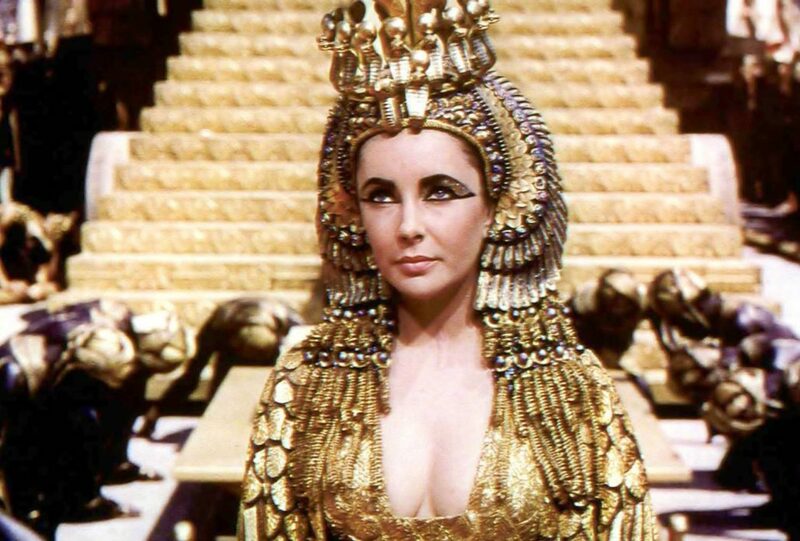 Additional accolades helped further cement her place in history. In 1973, she was inducted into the Black Athletes Hall of Fame. She was also voted into the National Track and Field Hall of Fame, the Helms Hall of Fame, and the Women’s Sports Foundation Hall of Fame. In 1983, Rudolph was inducted into the U.S. Olympic Hall of Fame. 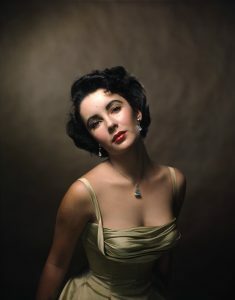 Her career may have been short-lived, but her inspiration to younger generations had legs of its own. It took until 1988 for another runner, Florence Griffith Joyner, to catch up as the next woman to win three gold medals in one Olympic Games. “It was a great thrill for me to see,” Rudolph told ESPN. “I thought I’d never get to see that. Florence Griffith Joyner—every time she ran, I ran. 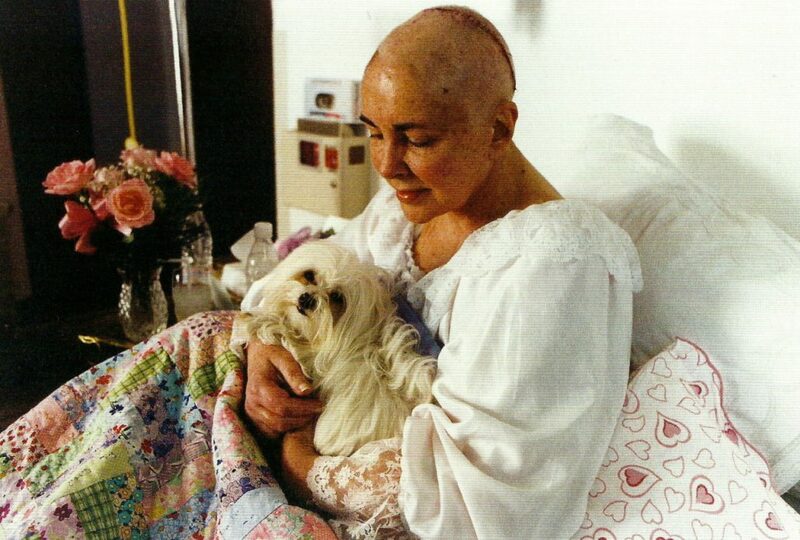 Rudolph lost her battle with brain cancer in 1994. In 2004, the U.S. Postal Service honored Rudolph’s racing record by depicting her likeness on a 23-cent stamp. Though not as widely known as some sporting greats to come of age in later, more media-centric decades, Rudolph’s name still carries significant weight. One of the most prestigious awards in the industry, the Wilma Rudolph Courage Award from Women’s Sports Foundation, reminds younger generations of the woman who paved the way and continues to inspire young women athletes to reach for the gold.